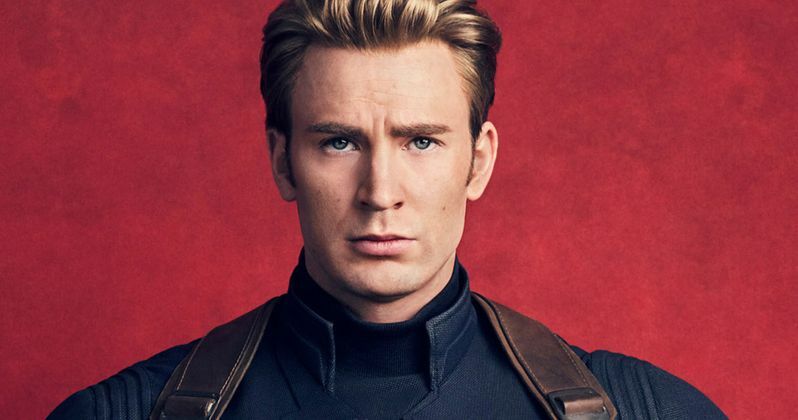 Chris Evans announced that he has officially wrapped filming on the Avengers 4 reshoots, thanking the cast, crew, and fans for all of the memories. It's no secret that Evans is exiting the Marvel Cinematic Universe, but fans were/are still holding out hope that he might extend his contract one last time. However, it doesn't look like that's going to happen, especially since the actor already extended his contract once before to be a part of Avengers 4 in order to properly end the story. Chris Evans announced back in March of this year that Avengers 4 would be his last film with the MCU. "You want to get off the train before they push you off," said Evans when asked about the possibility of getting back into the role of Captain America. Both Evans and Robert Downey Jr. have talked about how hard it is to get in shape for the movies and keep at it for reshoots as they get older. Chris Evans had this to say about wrapping up his MCU career. Obviously, this goodbye from Chris Evans is going to dump fuel on the speculation that Steve Rogers will not survive the events of Avengers 4. It was heavily rumored the Captain America and Iron Man weren't going to make it out of Infinity War, so it almost appears that they are on borrowed time as far as the fans are concerned. It has not been confirmed by the Russo Brothers or anybody else that the characters will die, but that hasn't stopped fans from theorizing how they'll go out. MCU fans have floated theories that a new Infinity Gauntlet will be constructed and that either Captain America or Iron Man will wield it against Thanos, sacrificing their lives. There's also the theory that Steve Rogers will use some time travel technology to go back in time and live out the rest of his life with Peggy Carter, which has even been drawn up by fan artist BossLogic. For now, everything is a mystery, which is good, considering that we have to wait a bit longer for Avengers 4 to hit theaters. While Chris Evans has wrapped filming for the last time within the MCU, he will more than likely reunite with the team to do press for the movie. Hopefully he's able to make the premiere this time after missing the Infinity War world premiere due to a previous engagement. With that being said, it's the end of an important era for the MCU as Avengers 4 sets up a Phase 4 that will not include Captain America or Iron Man. You can read the farewell to the MCU below, thanks to Chris Evans' Twitter account.